Port Elizabeth is the Eastern Cape's primary travel hub but the city's popularity with travellers is based on its proximity to some amazing national parks and historic sites, rather than to the charm of the place itself. Port Elizabeth is a little grubby and industrial but it does have a friendly, welcoming character and a lovely coastline. The numerous worthwhile excursions out of the city far overshadow anything the urban area has to offer, and places like Grahamstown, Nieu-Bethesda, and Jeffrey's Bay are big drawcards nearby. 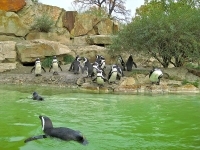 Port Elizabeth is also close to some world-class game reserves. However, the city itself does have some fun attractions, particularly for those travelling with children. 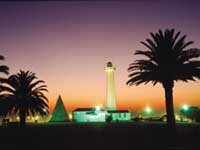 On a hill above the centre of the city stands a stone pyramid with an adjacent lighthouse. This open public space was proclaimed in perpetuity by Sir Rufane Donkin, acting British Governor of the Cape, when the 1820 Settlers arrived in Algoa Bay. Donkin named the new settlement after his wife, Elizabeth, who had died in India two years previously, and erected the pyramid to her memory. The lighthouse was built in 1861, and today houses the city's Tourist Information Centre. Maps are available from the centre describing a three-mile (5km) discovery trail through the hill area and central city, taking in 47 historic sites and architectural delights. This is the perfect place to start a spot of sightseeing in Port Elizabeth.